For those of you that know me you'll know the passion I have for sharks, the ocean and everything within it, and for anyone else that has a passion, about anything, you'll know you can't just switch that off. 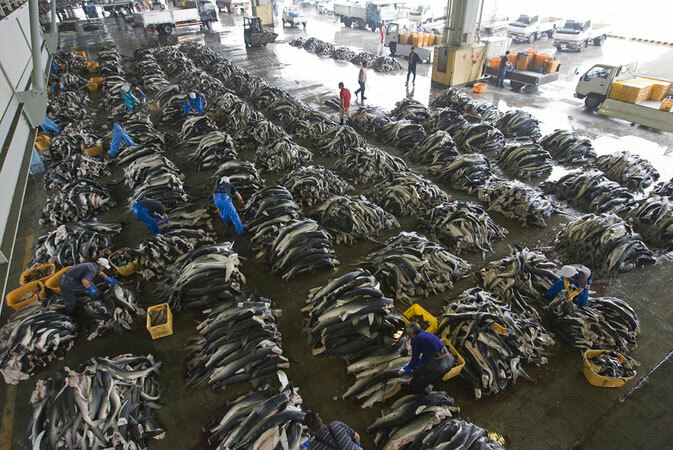 So when it comes to the subject of shark finning it makes my skin crawl. How can people be killing these beautiful animals purely just for social status? I have to admit, living in Hong Kong, I am ashamed to be contributing to a city where over 50% of the shark fins are arriving into, and where people are consuming shark fin soup among the streets I live in. But theres one thing moaning about it and another taking action, so this year I started volunteering with the Hong Kong Shark Foundation to help raise awareness on this serious issue. So what is shark finning? Finning is the inhumane practice of hacking off the shark's fins and throwing its body, which is still living, back into the sea.The sharks either starve to death, are eaten alive by other fish, or drown (if they are not in constant movement their gills cannot extract oxygen from the water). 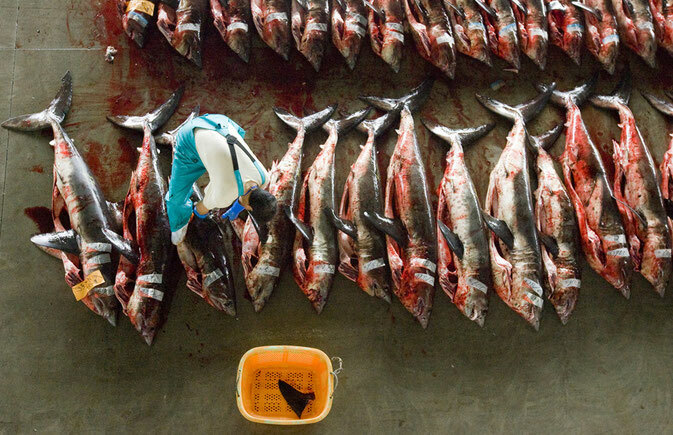 Why do we kill sharks for their fins? Astonishingly because of the Chinese delicacy that is shark fin soup. A tasteless, nutrition-less soup that is usually served at wedding celebrations so that the hosts can impress their guests with their affluence. Because there is such a high demand for shark fins, traders can make a lot of money from shark fin, but it is the restaurant owners who really “make a killing” in this foul trade (around $100USD per bowl sometimes). 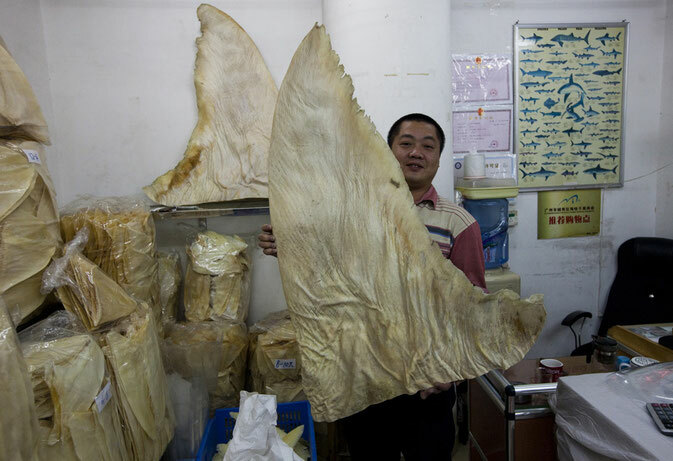 Oh, and get this.. Shark fins have been known to contain 42 times more mercury than is safe for human consumption. Meaning the greatest danger to humans from sharks is not in the water, but on the table! Why are sharks worth more alive than dead? Imagine, just for a second if we were to redefine the relationship we have with sharks, from that of biased information and things we have seen on a fictional movie, to one of scientific fact and reality. Changing the way we see and interact with sharks could change our environments for the better. Yes, sharks are apex predators, but without them our planet and our oceans would be dead. Imagine sharks as the oceans immune system; they pick out the weak, sick, dead and dying animals, leaving only the healthiest to reproduce keeping the population in balance. There are study after study proving that the removal of sharks have a negative environmental and economic impact. Even the air that we breath is affected - 70% of the air we rely on comes from the ocean, and with the removal of sharks, and the damage to the eco system, we are directly affected. 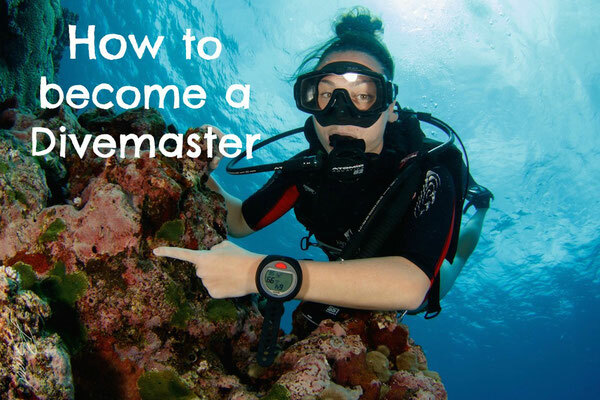 Sylvia Earle says: "With every drop of water you drink, with every breath you take, you're connected to the sea. No matter where on Earth you live." As apex predators, sharks are a crucial part of the marine food chain. The demand for shark products has contributed to the rapid decline of many species, with several already nearing extinction. Removing sharks from our oceans will threaten the delicate balance of ecosystems that are valuable sources of food and key elements in regulating our climate. 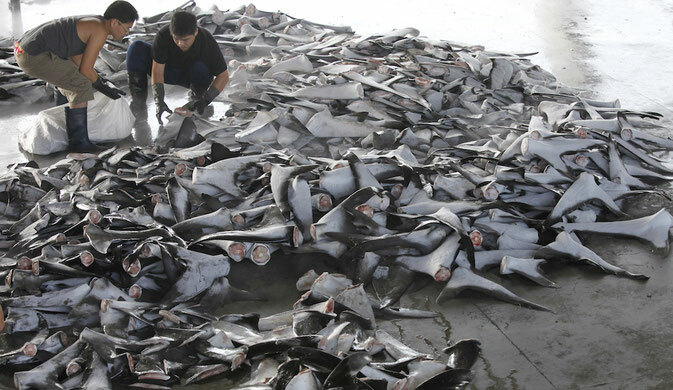 Every year, over 100 million sharks are caught worldwide for shark fins and other products, with over 50% of the world’s shark fin being traded through Hong Kong alone. This fact makes me feel sick and ultimately very sad to be living in a city that is involved in this. However, there are some amazing people here in Hong Kong that are trying to help out, especially everyone at the Hong Kong Shark Foundation. HKSF believes there is a rare opportunity for one city to make a significant impact on a global scale, all they need is your support and kind donations. All donations to HKSF are gratefully received and will be wholly put towards shark conservation, whether to support their operational and marketing costs or to fund specific programmes and events. They accept both individual donations and corporate donations/sponsorships. Donations can be made online at sharkfoundation.org ,via Paypal (payment@hksharkfoundation.org) or by post at Hong Kong Shark Foundation, Suite 2406, Nine Queen’s Road Central, Central Hong Kong. I can't imagine a world without sharks, but sometimes I have to – to put this all into perspective. 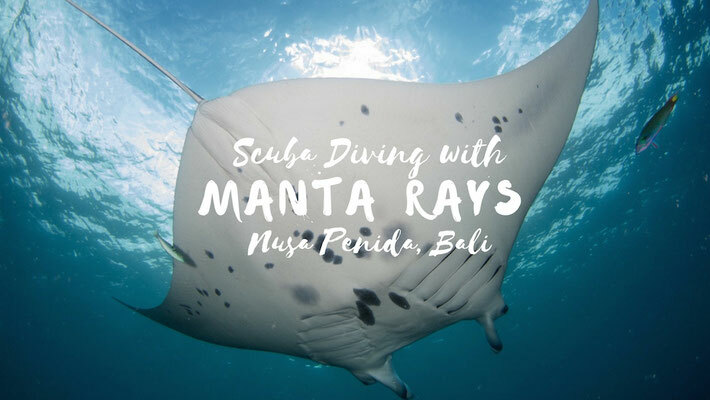 I am incredibly lucky to have been able to peacefully dive with these elegant creatures numerous times and my passion and love for them runs deep. My dream is to continuing diving with them, showing everyone how misunderstood they are, and to put a stop to this ridiculous shark finning that has absolutely no benefits to the world we live in. If anything I hope through reading this I have been able to educate you even a little bit on sharks, and, if you tell someone something today let it be this; it is not sharks killing us, but us killing them. The future is in our hands, and our future depends on our ocean.